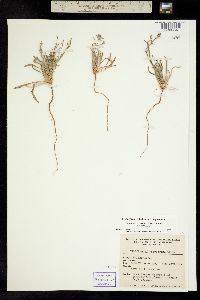 Plants spreading to erect, 0.5-3(-5) × 0.5-3 dm, thinly pubescent, often with appressed hairs, infrequently somewhat strigose or glabrate. 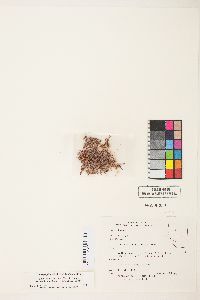 Leaves basal; petiole 0.5-2 cm; blade oblanceolate to narrowly elliptic or spatulate, (1-)1.5-3(-4) × 0.1-1 cm, pubescent. 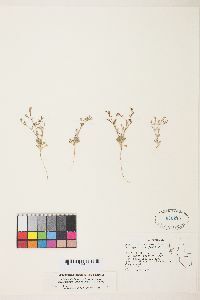 Inflorescences green; bracts 2, similar to proximal leaf blades only more reduced, 0.3-1(-1.5) cm × 1-2.5 mm, becoming sessile and scalelike at distal nodes, linear, acicular, awns 0.2-0.5 mm. 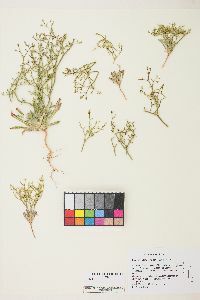 Involucres 1, green, 3-5 mm, not corrugate, thinly strigose; teeth divergent, 0.4-1.2 mm; awns uncinate, 0.2-0.5 mm. 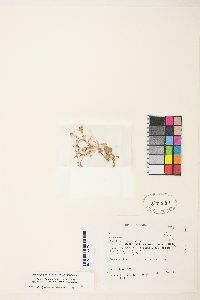 Flowers included; perianth greenish white to white or pale yellowish white, cylindric, 2-4 mm; tepals connate 3/ 4 their length, monomorphic, linear to narrowly oblanceolate, acute, entire apically; stamens slightly exserted; filaments distinct, 2-3.5 mm, glabrous; anthers white to pale yellow, ovate, 0.3-0.4 mm. 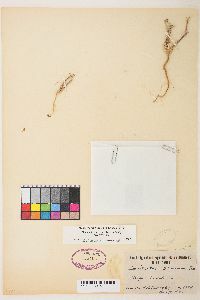 Achenes dark brown, lenticular, 3-4 mm. 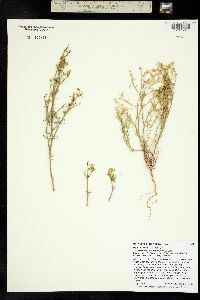 Chorizanthe brevicornu has stems and branches that easily disarticulate at the nodes. 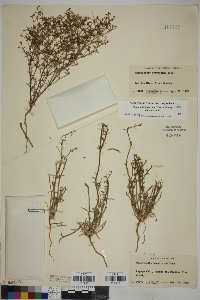 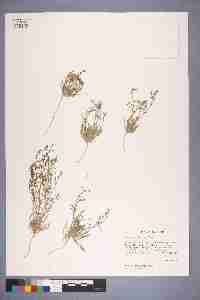 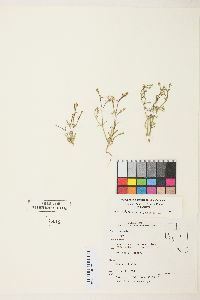 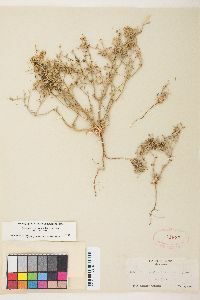 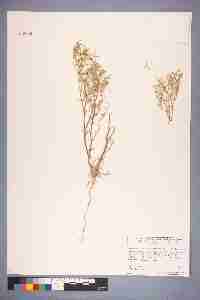 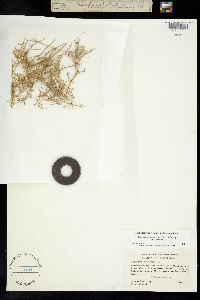 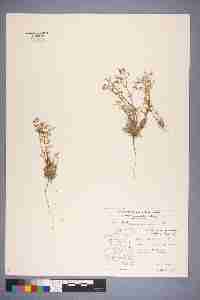 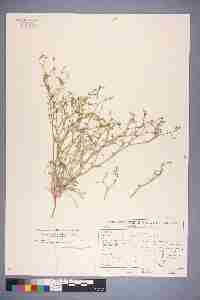 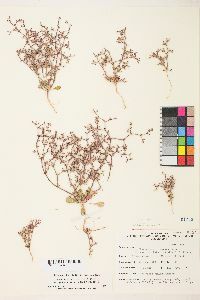 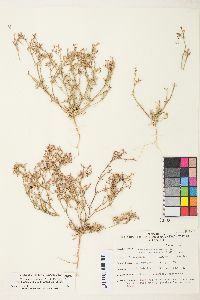 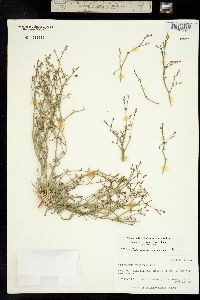 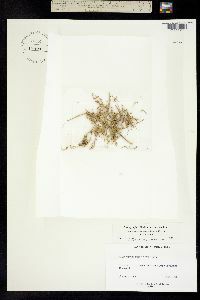 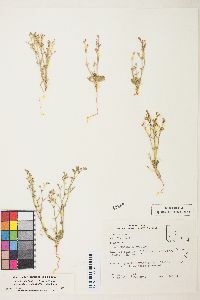 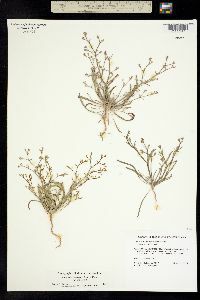 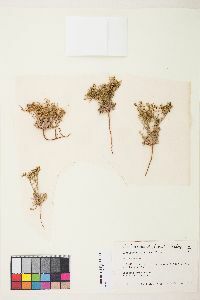 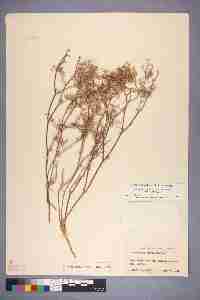 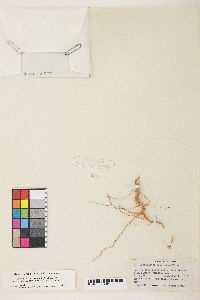 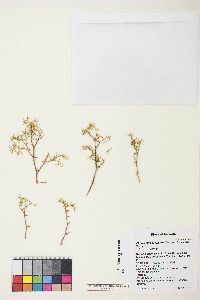 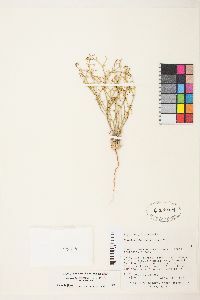 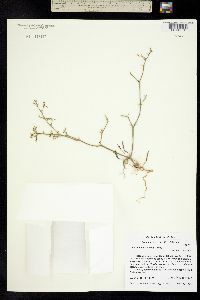 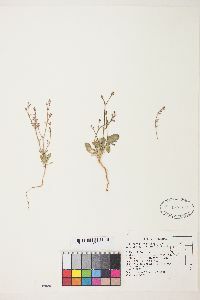 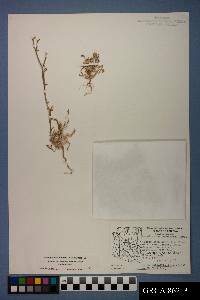 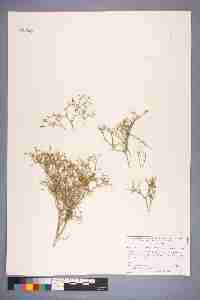 Dried specimens often are reduced to a mere jumble without careful handling. 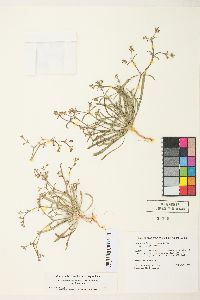 The vegetative fragments will not regenerate new plants, but the involucres (each with a single flower bearing a single achene) easily disarticulate from the parent plant, and with the aid of the awns on the teeth of the involucre, may be readily distributed.